Peter spent the last years of his long and amazing radio career on the station where it all started: Radio Mi Amigo. His contemporary shows were original, sparkling and popular as ever, bringing joy and delight to his many fans, to us - and to himself. Peter van Dam and the name Radio Mi Amigo are tightly connected. 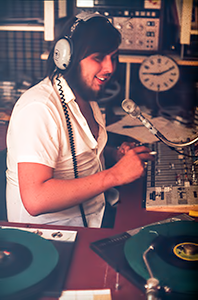 In 1972 Peter -under the name of Peter Brian- started his long radio career on board the MV Mi Amigo, Radio Caroline's legendary ship. In the years that followed he worked on the ship for Radio Caroline, Radio Atlantis and Radio Mi Amigo, presenting among other shows the legendary 'Cash Casino' game. 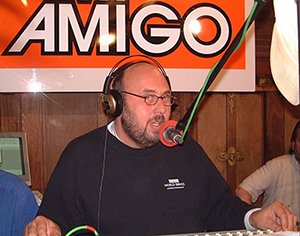 Later, on Radio Mi Amigo Peter became one of the best known and most loved voices on radio in the Benelux. In 1974 Peter moved to Playa D'Aro in Spain along with the rest of the 1974 Mi Amigo DJ crew, where they recorded their shows living in exile. The tapes were secretly transported by tourist busses from Belgium and were then brought to the MV Mi Amigo by tenders or dropped by small planes. 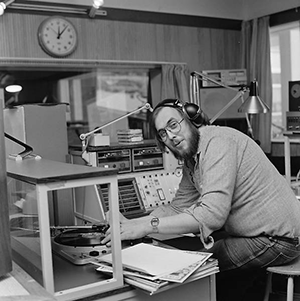 After the Spanish operation stopped in 1977 the Belgian broadcasting organisation BRT refused to employ anyone who had ever been involved with the pirates, but Peter -who as a Belgian had learned to speak perfect Dutch, found a job in the Netherlands with TROS Radio on Hilversum III (the Dutch equivalent of UK's 'Radio 1'). For years he presented many shows on Dutch national radio. Shows with names such as: 'Nachtwacht', 'Nederlandstalige Top 10' en 'met Peter gaat het beter', 'Een rondje voor Nederland', later 'Een rondje van Dam', 'Manneke Pop', 'Komt er nog wat van?' and 'Popslag'. Later he joined one of the first commercial stations 'Radio 10' with his show 'Manneke Pop'. Once commercial radio was established in Belgium he worked as a voice-over for the Flemish commercial TV station VTM and as a DJ on several Belgian commercial radiostations such as Radio 2000 in Antwerpen. He even briefly owned his own station: Radio Kiosk in Mortsel. 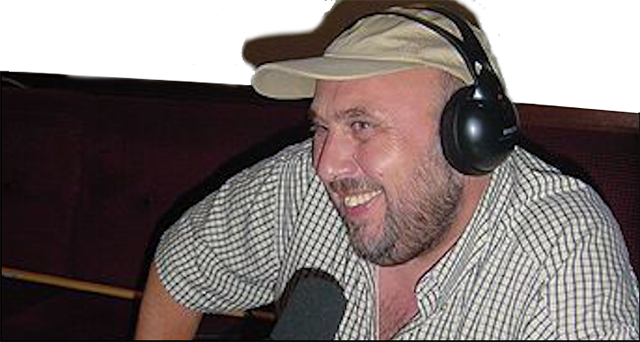 Many radio adventures would follow, such as a stint on the Greek island of Karpathos, where he set up a radio station for Dutch and Belgian tourists, lasting until late 2014. He also was involved in and ran several internet radio stations. In July 2016 Peter returned to the old familiar nest: Radio Mi Amigo International, where he joined a team of fellow ex-offshore pirate DJ's, enjoying the freedom of 'Free Radio' once again. Peter's voice is also well known for the original jingles and Mi Amigo station ID's. His shows were heard weekly on Saturdays and Sundays.